The best way to improve your golf game is to spend a few days completely immersed, it is much more effective than having occasional lessons with a golf pro. The prices are based on two people sharing a twin bedroom (2 Queen sized beds). There is a single supplement of £30 for single occupancy. Use of the Spa facilities is included in the price. At the end of the tuition session on each day you will have full use of the golf facilities which includes unlimited use of driving range balls to be used on the driving range (which is equipped with the revolutionary TrueStrike mats), the nine hole pitch and putt course, the championship chipping course as well as the main parkland golf course. 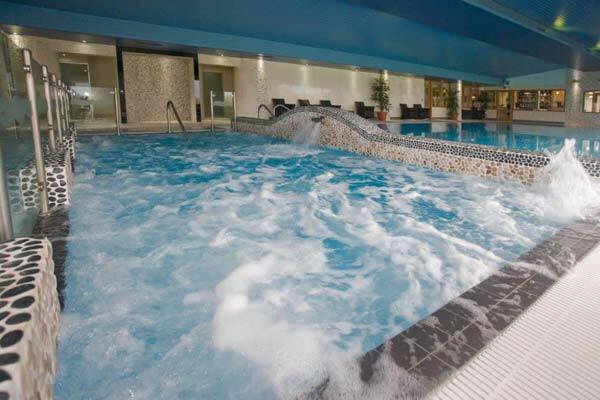 Then enjoy the luxury spa facilities including the large bubbling hot water hydrotherapy pool with powerful jets to relax your tired muscles.